Anyone following the king and queen’s footsteps will arrive in a large area right next to the railway. The area has various beautiful and historical buildings with evocative names, such as the woodshed, the polygonal shed, the forge and the locomotive hall. 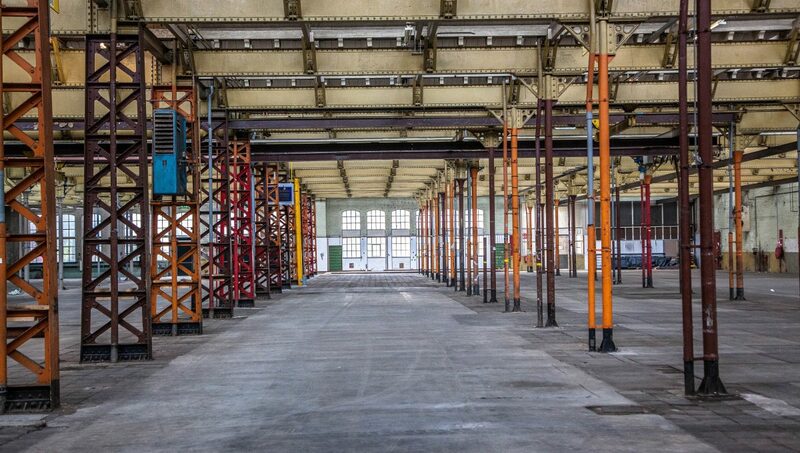 Spoorzone is a former marshalling yard and workshop with a surface area of 75 hectares. From east to west, the area is 1.5 kilometres long and consists of three sub-areas: the former grounds of Van Gend & Loos, the western flank and the former NS workshop. Today, it is part of the city’s cultural-industrial heritage. Anouk Thijssen takes us along to the area. ‘Only six months ago, the intention was to demolish all the old buildings in this area. That’s hardly imaginable now. Luckily it was decided to preserve many of those buildings. The province decided, in late 2015, to grant a subsidy of 3.5 million euros for the preservation of cultural heritage and was therefore an important partner for the municipality.’ The Council agreed to keep the existing buildings. This meant that a significant number of square metres could no longer be developed as was foreseen in earlier plans, and therefore the properties had to be written off. The total amount came to 19.4 million euros. 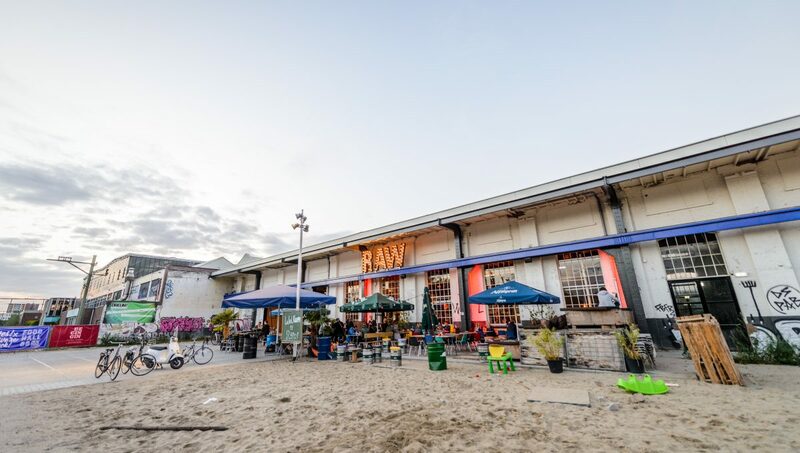 The existing buildings have been given temporary functions, such as events and the Hall of Fame, a large skate park that attracts young people from all over the surroundings of Tilburg. The woodshed accommodates a beautifully renovated building with a hip and popular restaurant and offices. The ‘Kennismakerij’ is a precursor of the ‘new-style library’, which will be opened next year in the restored Lochal (the locomotive hall), together with workshops and an art counter. ‘We receive weekly telephone calls and e-mails from people that would like to temporarily settle in Spoorzone. At this point, we need to disappoint them. 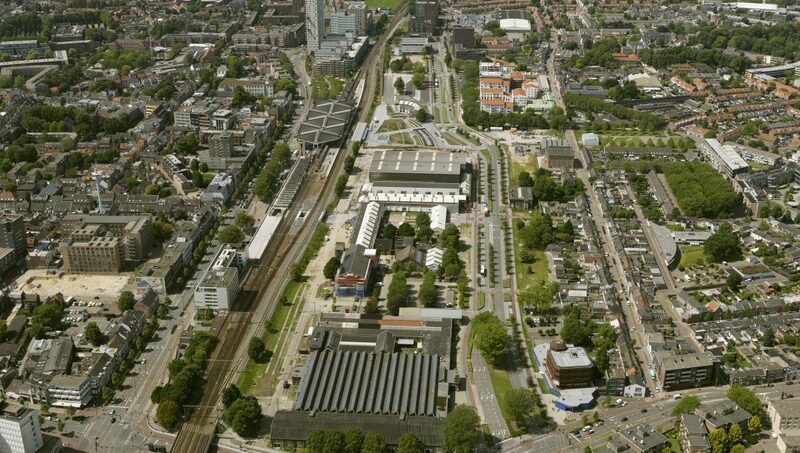 All of the premises are being used.’ Important future users of the area include Tilburg University, Fontys Hogescholen, ROC Tilburg and the Persgroep, as well as the editorial board of the daily Brabants Dagblad. Together with the municipality, they developed ‘Mind Labs’: a hotspot in the area of interactive technology and behaviour. They are set to occupy a building together. 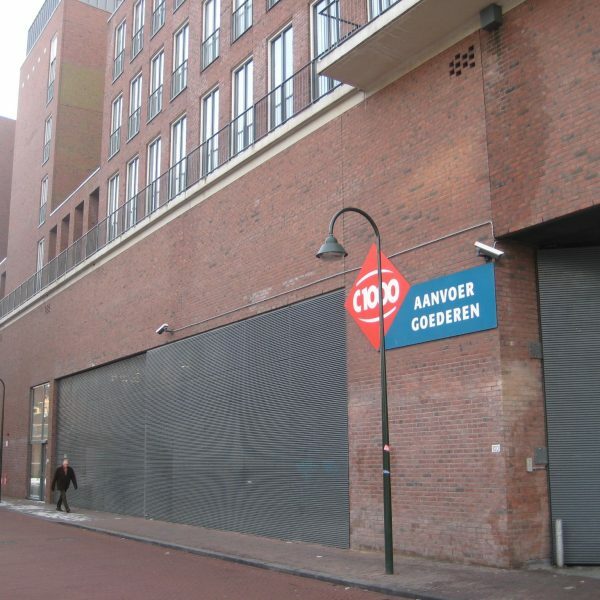 The parties are so enthusiastic about the new partnership that they don’t want to wait for the new-build and have decided to move to a temporarily renovated building in Spoorzone in late 2017, right across from the station. ‘The more the area is developed, the more the functions will merge into each other, which will make it difficult to maintain those functions that exist today. If offices and housing will be introduced here, they won’t be compatible with the organisation of big festivals, for example, because of noise pollution. But the nice thing about it is that new concepts and new kinds of partnerships arise from this kind of endeavour. The apparent contradiction between a raw and creative character, on the one hand, and convenience and modern solutions, on the other, coexists well here. 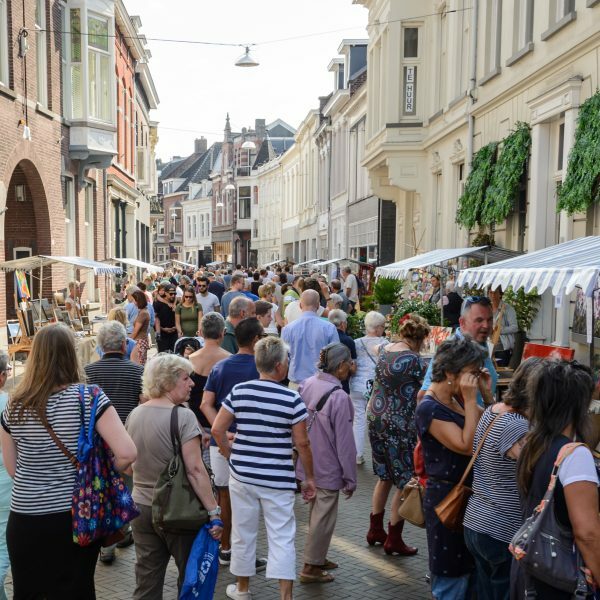 In that sense, the Tilburg Spoorzone is a real hotspot, an innovative art factory with opportunities for everyone. Invest immediately in infrastructure, such as roads and public areas, so that the area appeals from the word go. Highlight this investment in your plans. 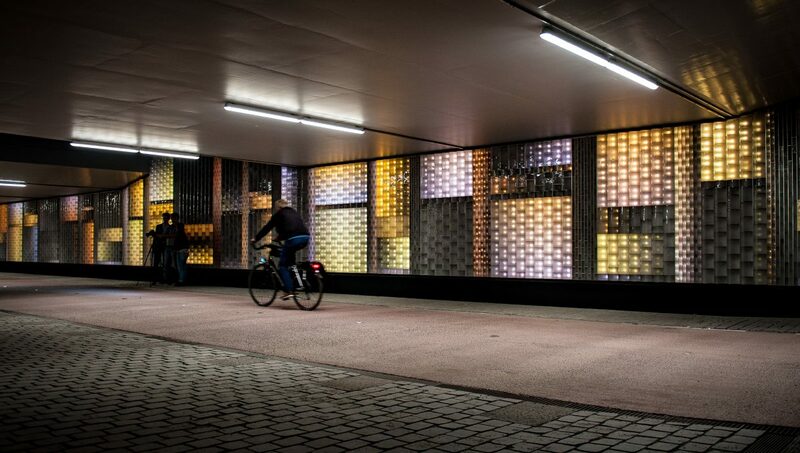 Connect areas, such as the Willem II underpass in Tilburg. Ensure as a municipality that you maintain sufficient influence on a given area’s development. That can be achieved by keeping land holdings and gradually selling them. Market players have different interests than municipalities. Bind strategic partners to your location. For example, attract a library or knowledge institute to your area. These are the (future) ambassadors of your area development. Engage in a long-term contract with a developer based on a blueprint of an area. That makes you less flexible when it comes to dealing with changing perceptions.